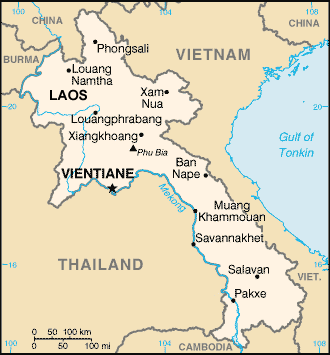 The 1995 national census of Laos listed a population of 739 Kri people, living in the Bouarapha District of Khammouan Province. 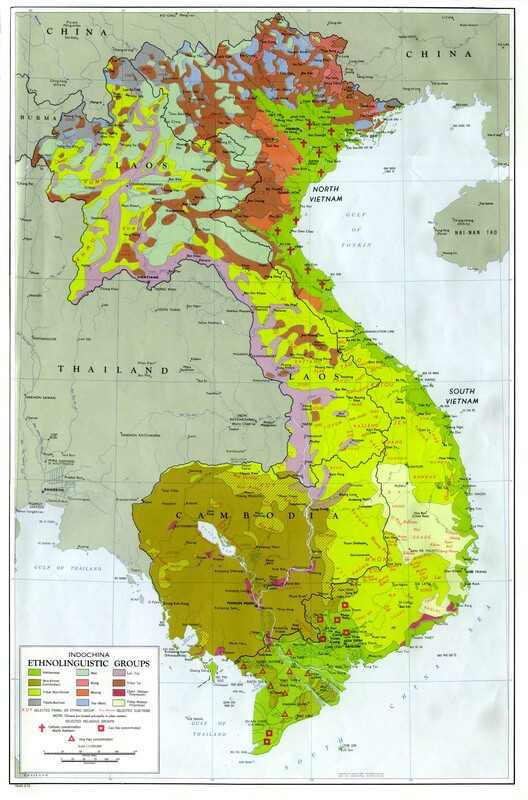 Interestingly, the Kri were given status as an officially-recognized ethnic group in Laos, despite the fact they are the third smallest such group acknowledged by the Lao authorities. Just why they include some small groups and exclude others is not known. The ethnographic processes and methodology employed by Lao officials and scholars has never been explained to the public. Little is known about the Kri. "The [Kri] in eastern Khammouan Province, in the Bouarapha District, are called Toong Luang by the Laos. Almost all were made to live normal sedentary lives in 1993 by local authorities." Previously they lived in trees and caves. The Kri themselves claim "some families migrated to the Ta-Oy District of Saravan Province. These groups pick fruit and gather food in the forests, and move their camps every 3-5 days in search of food. Typical agriculture doesn't interest them." The area inhabited by the Kri in Khammouan is extremely remote, and still contains numerous tigers. Whole communities live in daily terror of these ferocious beasts. One early missionary wrote, "When a tiger becomes a man-eater he usually haunts a certain community, living in the neighboring woods and roaming forth into the villages when hungry. In such communities the pigpens and buffalo stalls are usually built of heavy logs. Cats, dogs, and chickens are brought up into the house at nightfall, and the ladder drawn up after them. During the day no person would dare go alone from village to village, but the inhabitants move about in groups of a dozen or more with their long sabres in hand." Geographic, cultural and linguistic barriers have separated the Kri from all Gospel influence throughout their history. Not only are there no churches in the region, not even a single Kri is known to have placed their faith in Jesus Christ. * Pray God would show Himself stronger than the obstacles preventing the Kri from knowing Him. * Pray Jesus Christ would be lifted up above the Kri people. * Intercede that the salvation of the Kri, purchased at Calvary, would be manifested among them soon. * Pray for Gospel messages to become available in audio format for this people group.View Kri in all countries.